Planting, Pruning, Playing and More! And, we are going to be doing some of all of that! Yes, this is going to be a exciting growing year filled with local and national speakers, member garden tours, wine and roses event, ROSEFEST and MORE. Mark your calendar and don’t miss a minute! Time for the Indianapolis Rose Society Annual Rose Sale! Planting season will be here before you know it! Here are the roses the Indianapolis Rose Society will have for sale. Place you order now to get the ones you want. Most of these varieties are not available locally — and definitely not at this low price! Contact Carol asap at cswtumbas@yahoo.com to have your favorites held! Don’t forget… Contact Carol at cswtumbas@yahoo.com to have your favorites held! See you Tuesday, March 14 for our kickoff to the 2017 growing year. Dr. Mark Windham will get us started off right! Read more about that evening here. NOTE: Our program has changed for October! Diane Brueckman had to cancel. NEW! Joyce Durbin Miller comes highly recommended and will talk to us about herbs. The rose is an herb too, so this will be right down our alley! Did you know that in 2012 The International Herb Association named the rose as Herb of the Year? You can read more about that HERE. Come help us make our guest speaker feel right at home! Our VP Teresa Byington is just back from judging at the Biltmore International Rose Trial and she will have an update about that. Add to that voting on our officers for 2017 and our ever popular Roundtable Discussion lead by Humberto DeLuca on 2016 Successes and Failures, and this is a evening not to be missed! This will be our last meeting until our Awards / Christmas Banquet on Friday, December 2. It has been an amazing year with a room packed full of rose friends. Once our 2017 officers are decided on, we will get to working on another great year! 2017 Officers: The slate of 2017 officers will be presented and voted on. Please RSVP to Humberto here. Please share this post with others via email or social media! The more the merrier. And, be sure people know that all our meetings are open to the public! You are invited to our Arrangement Judging School and Seminar. Open to everyone that is interested. Arrangement Judges can get auditing credits. Newbies can audit the class just to learn. But those wanting to become an Arrangement Judge (of course, they have meet ARS guidelines) will take the written and practical exam on Sunday morning. For REGISTRATION FORM and AGENDA, click here. Questions welcome! Contact us here. We wish you a wonderful holiday season and look forward to seeing you in 2016! 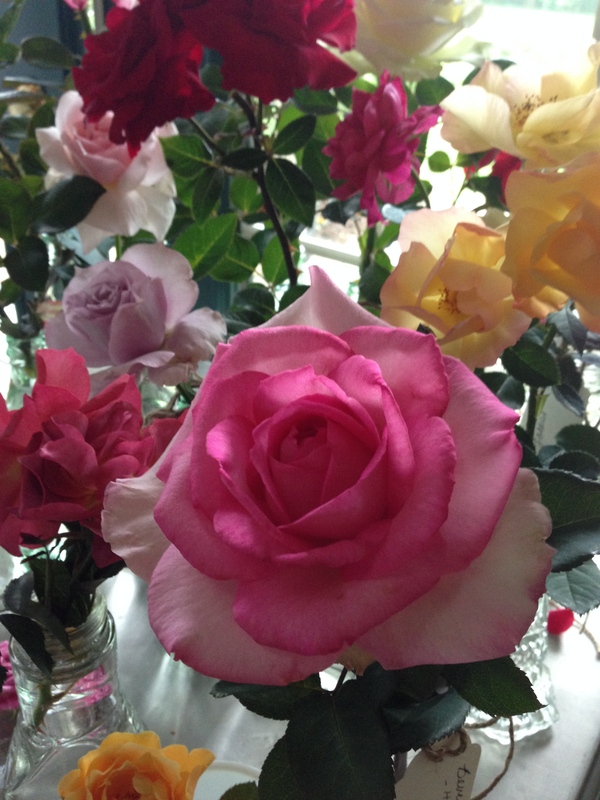 Whether you already grow roses or have a desire to add growing roses to your 2016 to do list, we hope you will join us! Our society leadership elves are busy making plans and the coming year is one that will be over the top! We start in March meeting on the second Tuesday of each month, and look forward to sharing programs, workshops and tours of our member’s beautiful gardens with you. An accomplished international rose personality, author and lecturer. Accomplished photographer of roses as well as winner of numerous awards growing, showing and judging roses. 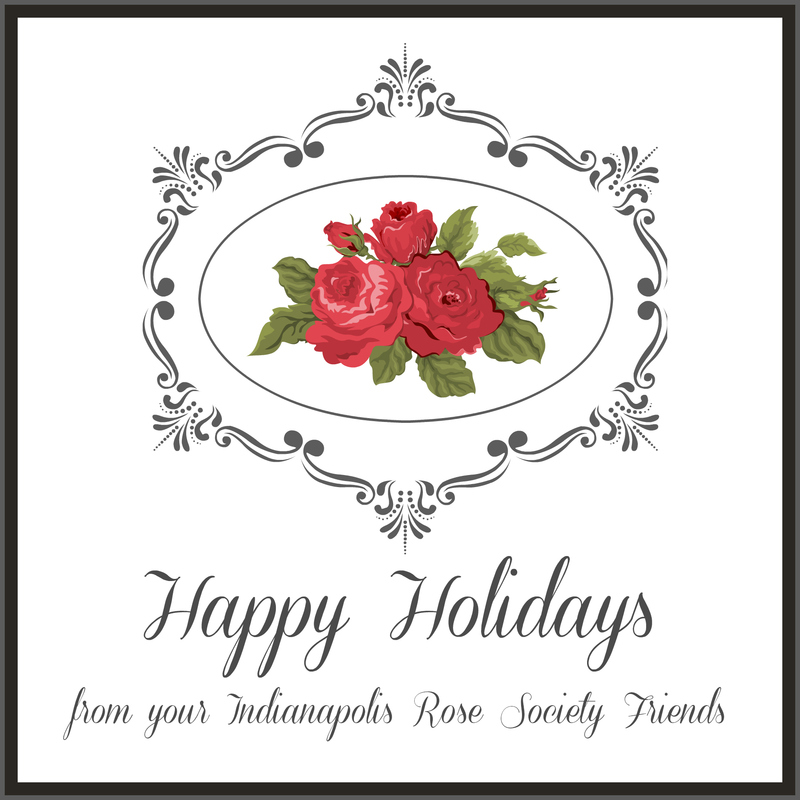 Email us by clicking here… IndplsRoseSoc@gmail.com. Follow us on Facebook for updates…click here. We start out with our spring district meeting and go all the way to Christmas with rosey fun! All of our meetings are open to the public, so come and join us! Whether you are new to growing roses or a long-term rosarian who would welcome the company of other rose lovers, you are welcome. If you are on social media, stop by our Facebook page and say hello. Linda, our Vice President, has a great deal of experience growing rugosas and recently published an article on rugosas in the Indiana Gardening magazine. the ARS, will talk to us about identifying and treating rose diseases. Bill, ARS Arrangement Judge and outstanding designer, will give us some tips and hands-on experience for award winning arrangements! Mark, our past president and winner of numerous ARS rose show awards including last year’s Queen of Show, will take us through the steps he takes to get his roses ready for a rose show. He is currently the chairman of the ARS Miniature/Miniflora Rose Committee which oversees the AOE trials. Colletta is a Gold Master Gardener and Indiana Master Naturalist. COST: $30 Friends and family are welcome to attend! 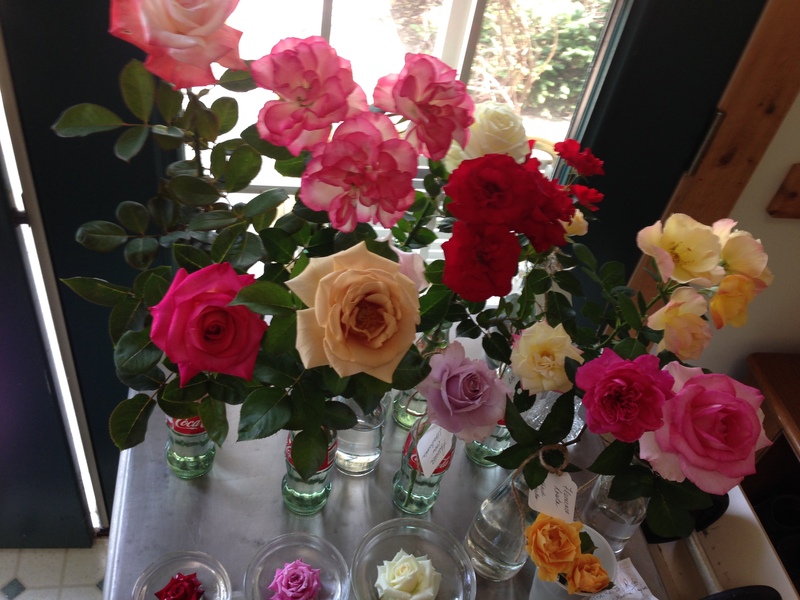 We love to see our fellow rose growers blooms throughout the season. So, we have “Pop Bottle Displays” at our meetings during the growing season and hope you’ll bring some of your blooms to share. It would be great if you could add a label and come prepared to tell us a little about the roses you bring, but it’s not required. It’s a great way to learn from each other and we just love to see the blooms!